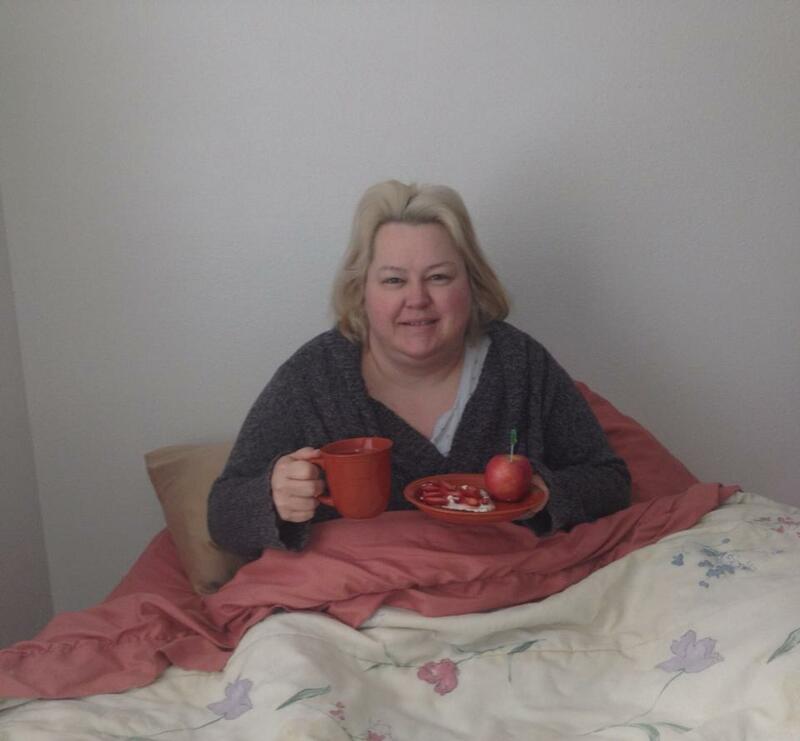 What a wonderful way to start a very joy filled day today by being served breakfast in bed! My delightful Gabrielle and Andrew prepared a healthy breakfast of fruit and cream cheese/toast with a cup of hot tea. I am blessed. The rest of my day will consist of relaxing. My bum knee is bothering me today and side tracked some of my plans of getting out - but I am going to push through and maybe work a little more my Acrylic painting project today. I am working on a big project that I'll add to the Creatively Cizon page within a few weeks (will take me that much longer to finish - but must be completed by 4/4/13!). The day will end with a birthday cookout/dinner at my parents home. Looking forward to this day this day that my Lord has made! REJOICE!!! Hugs to each of you on this wonderful Sunday. May you find joy and peace and love as you journey today.